Youngsters from across the local area will be among the cast for a youth theatre production of Oliver. 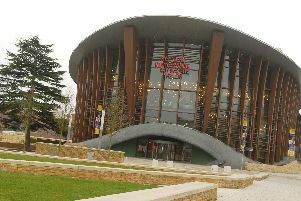 The first ever Stage Experience performance at Aylesbury’s Waterside Theatre has seen them work with Vivo D’Arte and Aylesbury Vale District Council. The cast of 126 local performers from across the area aged between seven and 23 started rehearsals yesterday (Monday) which will culminate in performances from Wednesday August 16 to Saturday August 19. Youngsters from Aylesbury, Tring, Bicester, Hemel Hempstead, Leighton Buzzard, Winslow, Berkhamsted, Buckingham, Wendover and Waddesdon among many others appear in the show. Tickets for the show cost from £15 and they can be booked by calling the box office on 0844 871 7607 or visit www.atgtickets.com/Aylesbury.